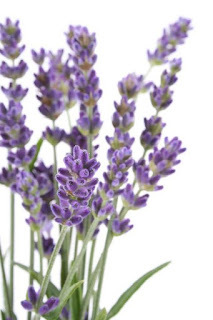 Not only do the organic ingredients such as jojoba and cactus oils enrich and soften your skin, Deep Sleep Lavender Bath Salts are also packed with natural relaxants; bromide, magnesium and lavender oil – helping to combat insomnia and allow the mind and body relax and unwind, ultimately preparing you for a good night’s sleep. The delicate and harmonising aroma of these bath salts improve the overall length and quality of sleep. 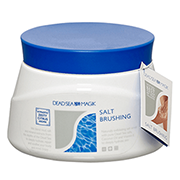 Use a small amount of Salt Brushing and apply onto dry skin with circular movements into the skin until the salts dissolve, shower off excess. Dead Sea Spa Magik Algimud Active Seaweed Face Mask is a peel-off facial mask which detoxifies the skin to dramatically improve skin texture, leaving it feeling smoothened and refreshed, and youthful looking. A blend of mud, salt and mineral extracts from the depths of the Dead Sea deeply hydrate, repair and soothe your skin, body and mind. Dead Sea Spa Magik's range of products is rich in minerals and extracts sourced from the depths of the Dead Sea. This rich, creamy shampoo has been created to soothe dry, flaky scalps and revitalise damaged hair. The gentle formulation can be used daily on all hair types. Dead Sea Spa Magik Hair Magic Serum is an intensive conditioning treatment suitable for all hair types. It's especially beneficial for hair that is dry and damaged and ideal for those who straighten their hair. This magical formula contains Pro-Vitamin B5 for extra shine and conditioning and will give bounce and shine to your locks by saturating each strand with thirst quenching minerals. Apply to wet hair after shampooing from root to tip, massaging into the scalp with firm circular movements. Leave on for a 2-3 minutes then rinse hair thoroughly. Can also be used as a leave in hair serum on dry hair. Dead Sea Spa Magik Refreshing Bath Shower Gel is a luxurious, foaming bath and shower gel which leaves the body refreshed and moisturised. Contains a unique combination of pure minerals, which are only to be found in the springs of the Dead Sea. The ingredients in this bath and shower gel wash will help maintain moisture, skin elasticity and texture, and rejuvenate the appearance of the skin. Used regularly this will make you feel revitalised and relaxed, therefore benefiting the whole body. 1Coconut Oil, 2Palm Oil. *Special de-ionised water with pure Dead Sea Minerals: Magnesium, Potassium, Calcium, Sodium as Bromides, Chlorides and Sulphates. **Allergen-free blend with essential oils. *** Certified as organic according to the EEC council regulation No. 2029/91. Dead Sea Spa Magik Conditioning Scalp Mud is a fantastic intensive mud conditioning hair treatment for those who suffer from a dry scalp. It leaves your hair feeling wonderfully soft and full of bounce. This mud mask works to soothe irritated, dry, flaky scalps and revitalises damaged hair. Apply Conditioning Scalp & Body Mud to your body and hair after washing. Relax for several minutes to allow the minerals to work their magic then rinse. Use 2-3 times a week. Total Hair Hydration Regime - Apply Spa Magik Mineral Shampoo to wet hair. Lather and massage all over the scalp and hair then rinse. For intense mineral hydration, follow with Spa Magik Conditioning Scalp & Body Mud, Leave for several minutes and rinse. Total Body Hydration Regime - After washing the body with Spa Magik Refreshing Bath Shower Gel, apply Spa Magik Conditioning Scalp and Body Mud generously to face and body, relax for several minutes then rinse. After bathing apply Spa Magik Silky Body Lotion to the body and Spa Magik Rich Moisturiser to the face for ultimate skin nourishment. Harmonised Water(TM)* (Aqua, Maris Sal), Cetearyl (1), Glycerin(2), Maris Limus (Dead Sea Mud), Behentrimonium Chloride, Ricinus Communis (Castor) Oil, Dimethicone, Cocos Nucifera (Coconut) Oil, Phenoxyethanol, Benzoic Acid, Dehydroacetic Acid, Lactic Acid, Disodium EDTA, Parfum (Fragrance)**, Chamomilla Recutita (Matricaria) Flower Extract***, Tilia Vulgaris (Linden Blossom) Flower Extract***, Melissa Officinalis (Lemon Balm) Leaf Extract***, Aspalathus Linearis (Rooibos) Leaf Extract***. Source (1)Coconut, (2)Vegetable. *Special de-ionised water with pure Dead Sea Minerals Magnesium, Potassium, Calcium, Sodium as Bromides, Chlorides and Sulphates. **Allergen-free blend with essential oils. *** Certified as organic according to the EEC council regulation No. 2029/91. Dead Sea Spa Magik Silky Smooth Body Lotion is an easily-absorbed, soothing lotion for frequent application. It helps to maintain moisture level of the skin, improves skin's elasticity and deeply moisturises, leaving skin feeling soft and supple. (1)Coconut Oil, (2)Vegetable. *Special de-ionised water with pure Dead Sea Minerals: Magnesium, Potassium, Calcium, Sodium as Bromides, Chlorides and Sulphates. **Allergen-free blend with essential oils. *** Certified as organic according to the EEC council regulation No. 2029/91.